Liberal’s Justin McPhail is no secret in the wrestling world. The 215 pound junior has been named the #1 wrestler in his weight class by the Kansas State Editor for Wrestling USA Magazine. 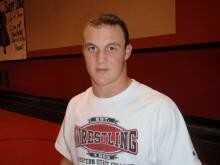 McPhail won state and only lost one match during his junior season.